Maternal and child health has been in the limelight for at least two decades and was prioritised by the Millennium Development Goals (MDGs). We have seen great progress. Maternal mortality fell by 45% and 17,000 fewer children die each day, than in 1990. The focus has, however, been narrow but thankfully worldwide priorities are now changing to much broader more inclusive framework of sexual and reproductive health and the concept of women’s health. In September 2015, at the UN New York summit, the proposed 17 Sustainable Development Goals (SDGs) and their 169 targets will be finalised. Many issues remain which should now be tackled. Although gender equality has been achieved in primary school education, a large proportion of girls do not complete secondary school which means their choices for their future lives are severely limited. Bangladesh has one of the highest rates of child marriage in the world. Around 20% of girls become wives before their 15th birthday, even though 18 is the minimum age allowed by law. Child marriage can have a damaging impact on young girls, and allowing them to continue their education is a way to avoid the future potential of sexual exploitation, dependency, domestic abuse and adolescent pregnancy. Adolescent bodies are not ready for childbirth and complications in pregnancy and childbirth are the leading cause of death in girls aged 15-19 in low- and middle-income countries. 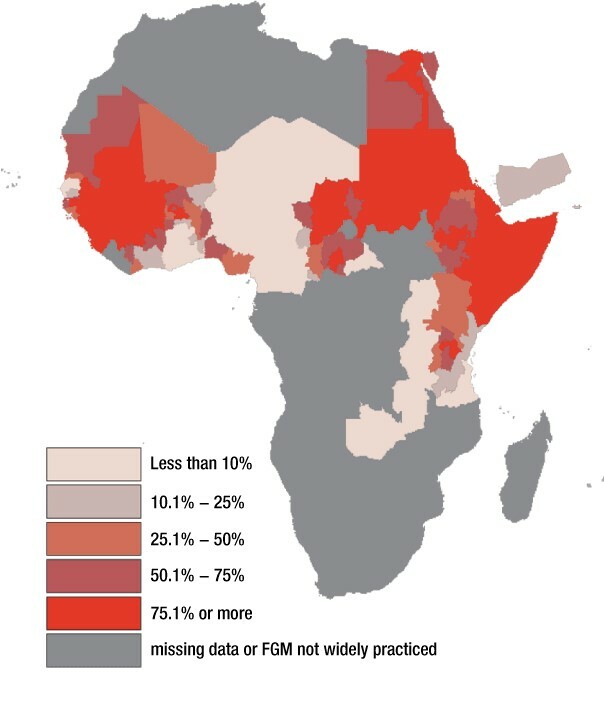 Despite admirable efforts, female genital mutilation continues in its various forms. In seven countries the national prevalence is almost universal (more than 85%) whilst in four countries there is high prevalence (60–85%) and medium prevalence (30–40%) is found in seven countries. National averages, however, often mask marked variation in prevalence in different regions of countries. Finally, a somewhat forgotten issue is that of maternal morbidity. For every woman who dies of pregnancy-related causes, an estimated 20 women experience acute or chronic morbidity. Maternal morbidity adversely affects families, communities and societies. There are multiple causes, with varying duration and severity ranging from transient to permanent. Diagnosis and treatment options, as well as rehabilitation approaches, exist but in low- and middle-income countries these are rarely freely available. Ladeisha Lombard, Rosemary Geddes and Liz Grant from Edinburgh University and colleagues recently published a review (http://www.ncbi.nlm.nih.gov/pubmed/25640771) on rehabilitation experiences after obstetric fistula repair. There is a paucity of research in this area but it was found that for women resuming social roles as wives and mothers is a positive rehabilitation experience, whilst concerns and fears about longer-term emotional, economic and physical consequences cause negative experiences of rehabilitation. There is a real need for community health education and counselling services post-repair for women and their families, in order to reintegrate and restore the dignity of these women in society.